We embroider patches as well. We will need the artwork for the patch sent to us so that we can give you an exact quote. Feel free to upload to artwork on our Contact Us form. There are no minimum quantities required, but the more patches you order the less the cost. For example, 100, 4" patches will cost approximately $2.75 each. The less patches you buy, the higher the cost. 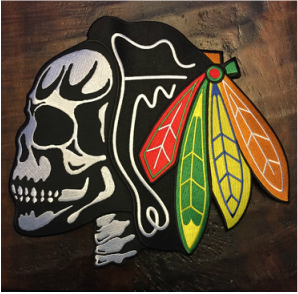 To see some patches we have done, click here. We can add Velcro or iron-on backing for a small additional cost per patch. ​Please note, cancelling an order after it has been placed will result in a $50 cancellation charge. Let us help you with your name patches! 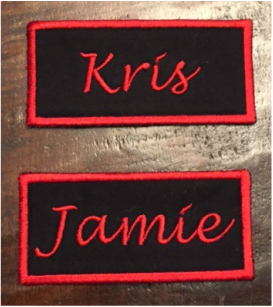 For a single 4"x2" name patch, the price starts at $8. If you'd like to add Velcro or iron on backing, the price will be a bit higher. For larger quantities, please contact us for a quote.